Our popcorn is 100% natural Australian Whole Grain. 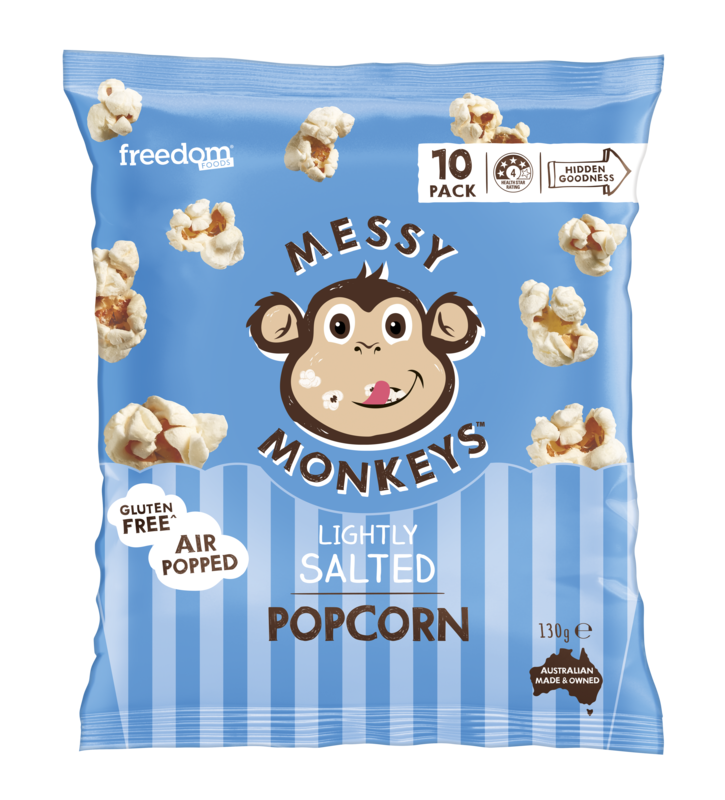 The Natural Goodness of Messy Monkeys Popcorn fuels active children everyday. Messy Monkeys have more fun! 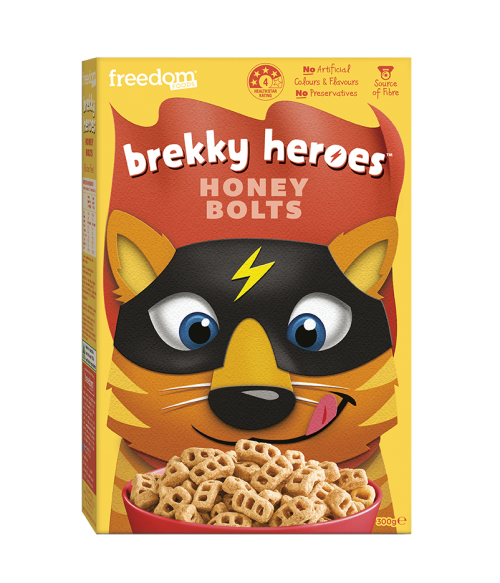 No artificial colours or flavours, no palm oil, no added MSG – no nasties! 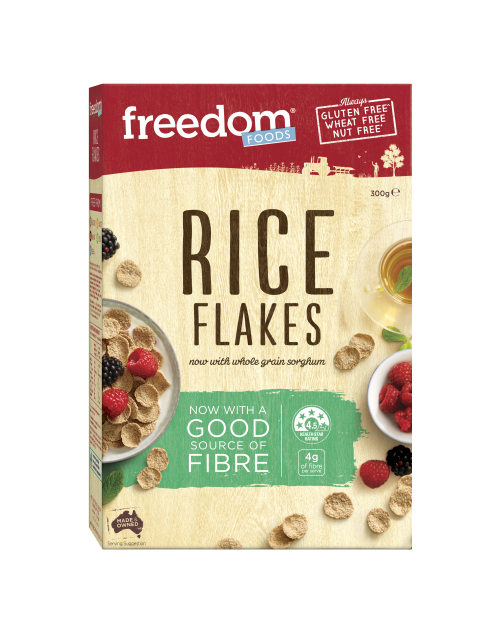 ^Free from Gluten as found in Wheat, Rye, Barley, Spelt and Triticale and does not contain oats. Product manufactured in a factory which does not use and tests for the presence of peanuts, almonds, hazelnuts and walnut. Perfect for the kids!! Love that it’s 100% Aussie! 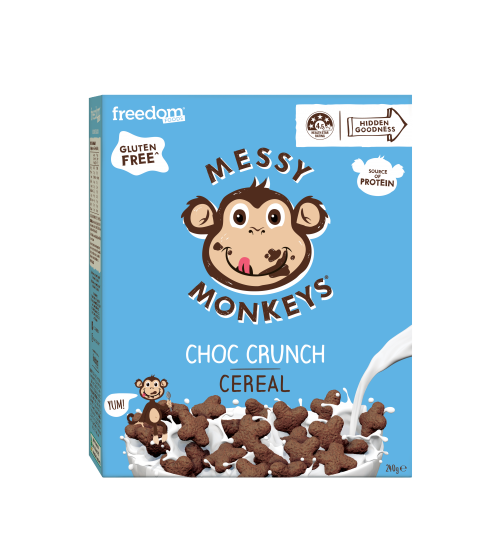 Just like the name says, this Choc Crunch Cereal is packed with chocolatey, crunchy goodness!